Get an Early Start on Holiday Shopping! Can you believe there are only 82 more days until Christmas?! 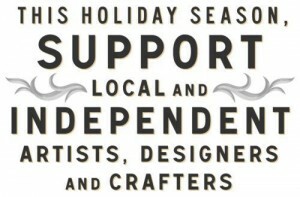 Why not get a head-start in planning your Holiday shopping list, and buy handmade this year? Everyone knows there’s nothing quite like a handmade gift, and your patronage of handmade shoppes will help out entrepreneurs everywhere! The Artisan Group‘s membership has swelled to over 500 members… that’s a whole lot of talent! We’ve spent the past six weeks putting together vast collections of our artisan’s handcrafted products, so it’s easy for you to shop for everyone on your list. Check out a few of our Collections below! 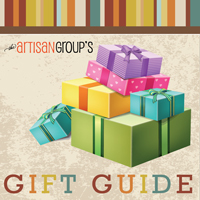 2011 Official Holiday Guide Guide – a big collection of everything from handcrafted jewelry to home decor to personal stationery to fine art. Stocking Stuffers – Perfect gifts for everyone’s stocking! Gifts Under $20 – All gifts in this collection are $20 and under. Gifts For Him – A great collection of gifts for all the men in your life. The Artisan Group also has many of our collections organized by product type, so feel free to also peruse these products as well!